I hope that you're having a wonderful start to the week! Last week I had an amazon binge, spending 2/3 hours in my car daily, I always have heaps and heaps of CDs piled up amongst in car hair straighteners, my emergency make up bag, and countless tubes of lipgloss! 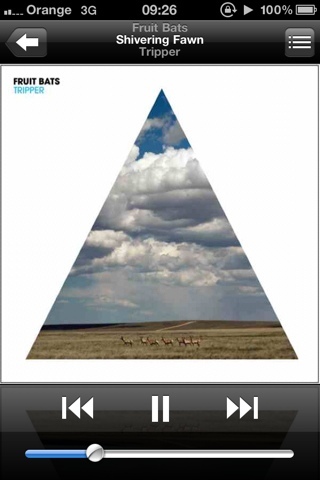 This morning Fruit Bats relatively new album Tripper is keeping me sane. With travel at the top of my 2012 bucket list, they're going to be the sound of my summer!